Photo by TechCrunch, used under (CC BY 2.0). 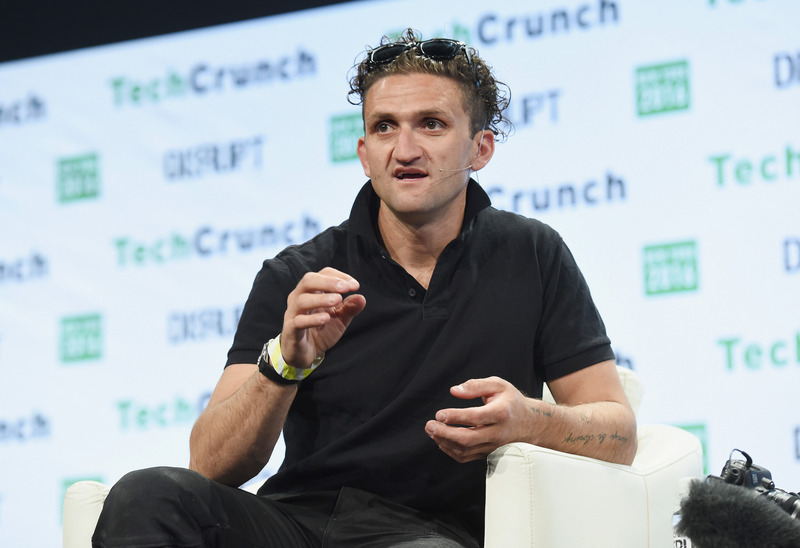 CNN just acquired Beme, the social app co-founded by Casey Neistat (pictured above), to supplement its approach to digital media. Beme was initially created as an app to share quick, short clips of videos without edits, according to TechCrunch. The Beme app started off successfully, but never really found its footing. The plan is for CNN to invest in Beme and the app’s team, who will be joining CNN as a result of the acquisition. Plans include creating a new brand that will be tailored for a millennial audience. First it was Instagram Stories. Now, the social sharing app has come for Snapchat once again with its addition of live video and disappearing messages features, reports Mashable. Photos sent to friends using Instagram Direct will disappear once seen, and — just like Snapchat — will notify users if a viewer takes a screenshot or replays the message. The new messages feature, not to be mistaken for the normal chats feature on IG, has already been rolled out. The live video feature will be released soon. What doesn’t Facebook do? At this point, it’s hard to imagine. Adding to its arsenal of features, the Facebook mobile app will now allow users to pinpoint local free Wi-Fi hot spots. Digital Trends reports that Facebook is realizing the data drain its Live Video service can have on users’ devices. The feature will ensure that users continue to live stream, and may potentially lure money-spending consumers into businesses that offer free Wi-Fi. Everybody wins. News about a divided America was consistent throughout the campaign season, and the post-election news cycle is no different. The New York Times added a new opinion column to report various instances of harassment and hate crimes that have occurred since Donald Trump became the president-elect, reports FishbowlDC. Titled “This Week in Hate,” the column will feature incidents from across the country, with links to the related news story and resources and tips on responding to harassment. In news appropriately shared via tweet, Twitter announced that Twitter Moments is now available on mobile devices. The social platform feature has been available for users on desktop since September, and is now available for users on Androids and iPhones, according to SocialTimes. The mobilized feature will enable users to create and share compilations of tweets for more compelling storytelling via Twitter.